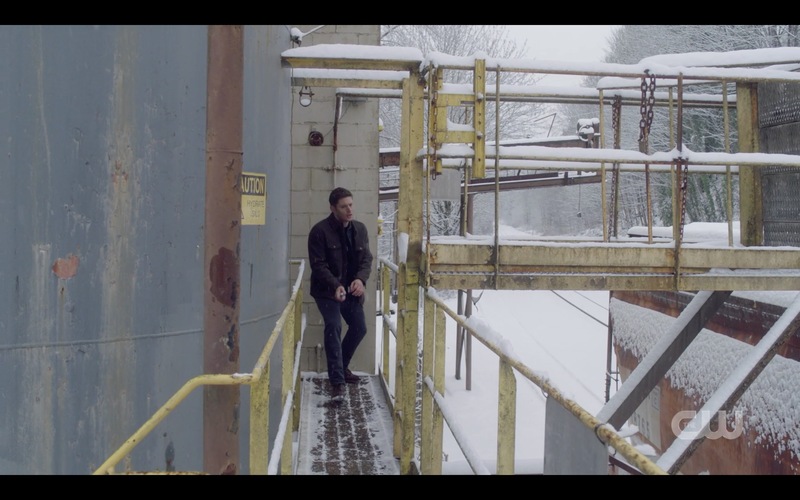 Nevertheless, they bring Nick back to the bunker, where we get a fabulous scene of Sam confronting the man he made the mistake of having sympathy for and let go. (And the man who looks, and increasingly also acts, like Lucifer). Sam clearly feels responsible and is furious at Nick for hurting so many people. 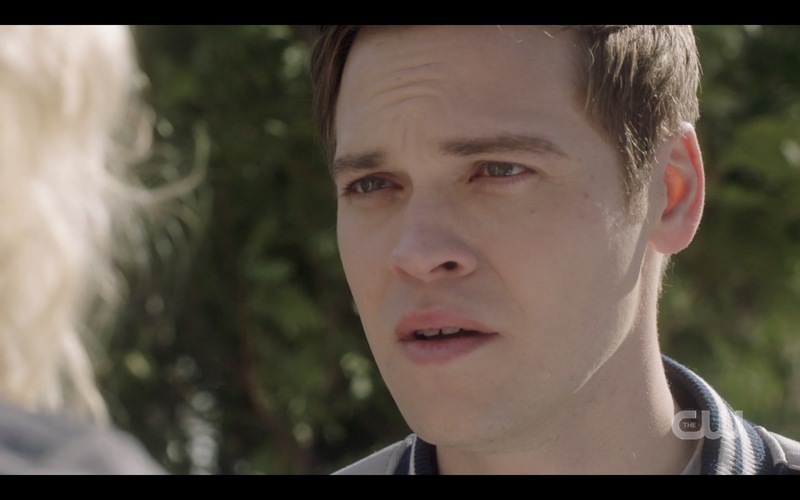 Jared shone in this scene – he practically growls, baring his teeth and snarling before physically attacking Nick and slamming him against the wall. 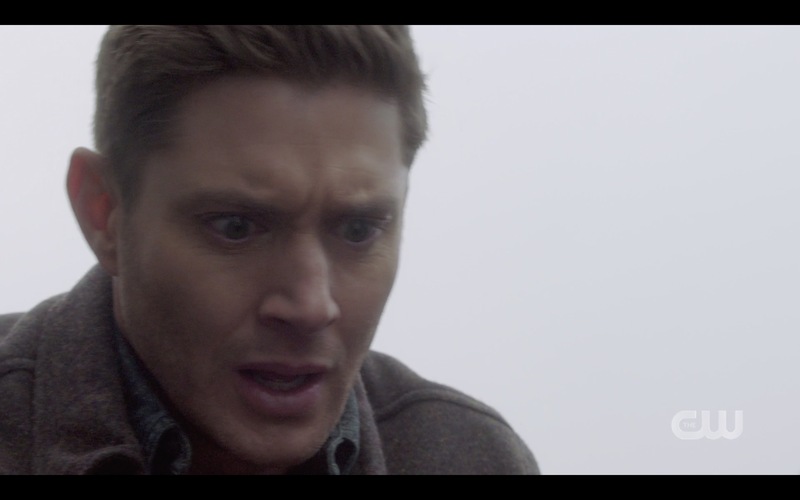 It’s only Dean knowing Sam so well and Sam trusting his brother that allows Dean to pull Sam off and push him back. 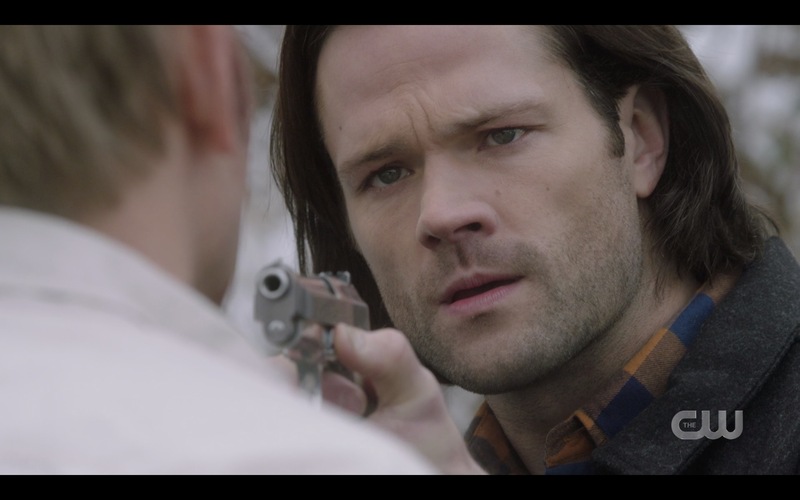 I can’t imagine how awful it is for Sam, being tormented like that in such a similar way by the same face and voice who traumatized him for decades. No wonder he gets rattled! Sam gets out of the car, and Nick slips a razor or something that he’s hidden UNDER HIS SKIN EWWW and picks the lock on his cuffs. Since when is Nick so resourceful? I guess he’s motivated, that’s for sure. 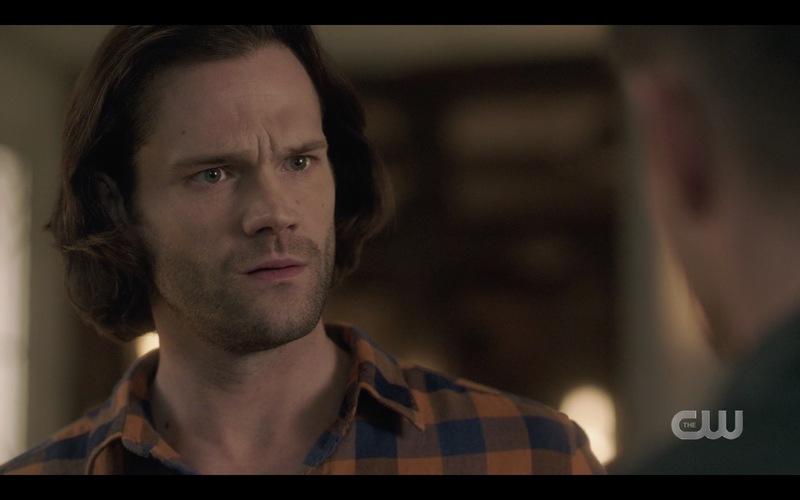 Oh the look on Sam’s face when he realizes that the being that Nick is trying to contact is Lucifer. Oh Sam. And in fact, Nick has apparently succeeded in waking Lucifer from the Empty and now knows how to bring him back. 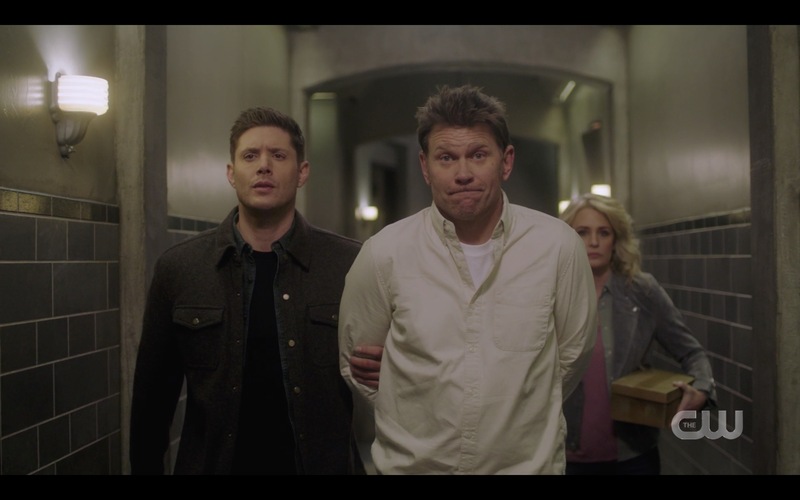 Sure enough, Dean is ambushed by demons and a classic brilliant Rob Hayter and Kirk Jaques choreographed fight ensues. 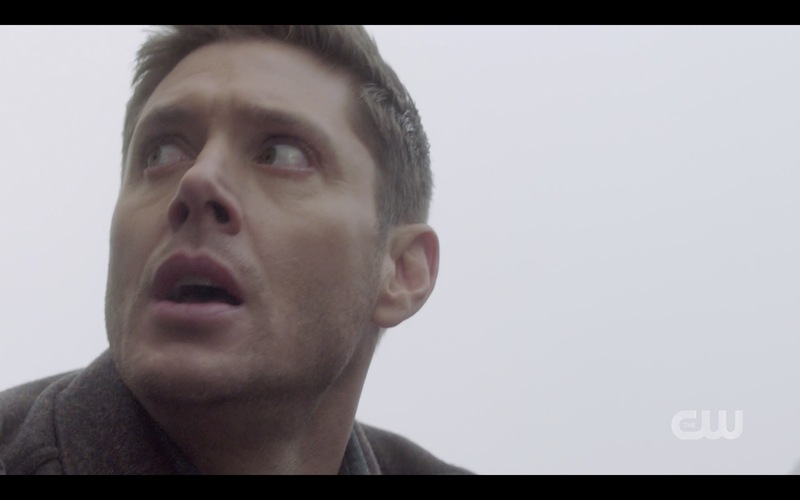 I sort of loved these parallel scenes and how they were edited, Dean fighting the demons and Sam fighting Nick. The action cuts back and forth between the two scenes, and I was sitting on the edge of my chair and biting my nails the whole time, it was so crazy tense. 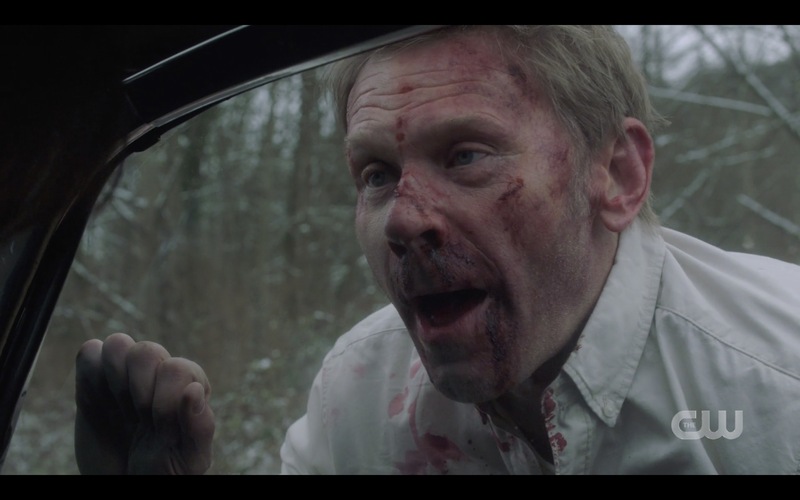 Jared, Jensen and Mark Pellegrino were all amazing in both scenes, the fights horribly believable so you could feel every blow. Sam gets the upper hand and pins Nick, choking him almost to death (and everyone watching was cheering him on, I have no doubt). I literally gasped and screamed at that. 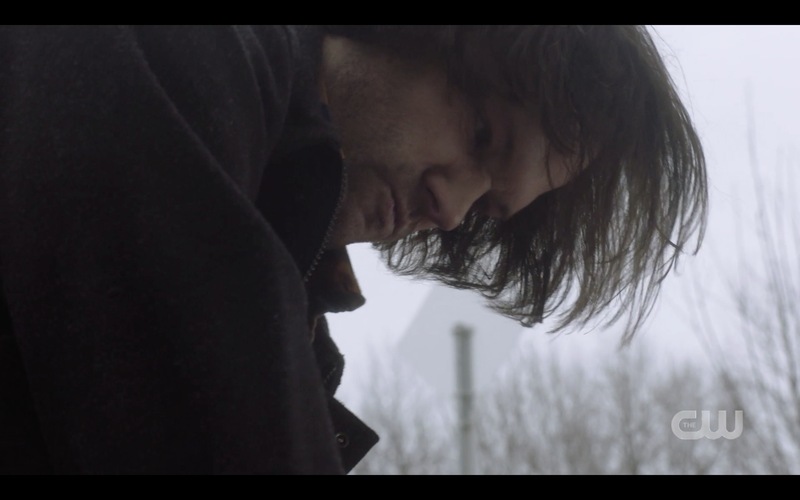 And Jared then gave a masterful performance as Sam staggers, clearly having endured significant head trauma. Nick throws him against the car, hitting his head again, and Sam goes down. 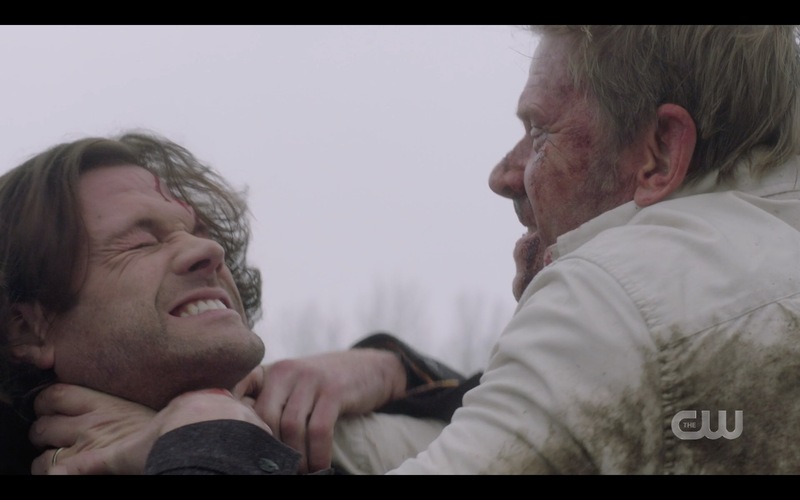 Nick chokes him, clearly not planning to stop – it’s only by managing to get into the Impala that Sam isn’t killed right then and there. 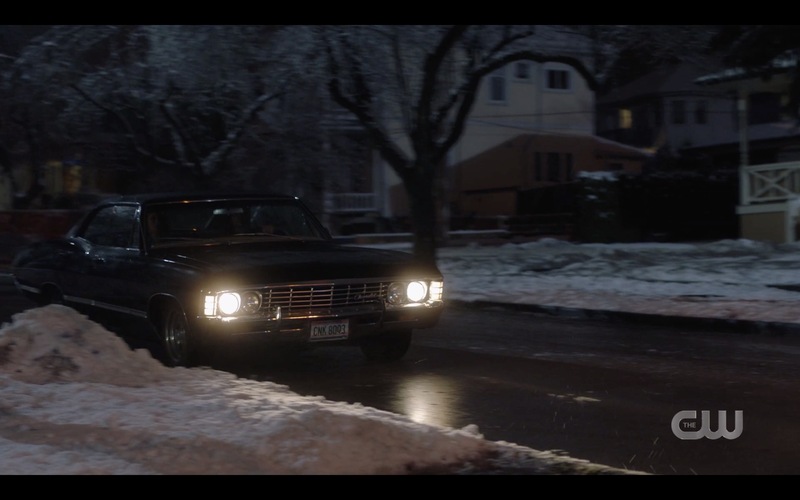 He knows he’s in bad shape though, clearly – desperate, he uses Baby to call for help from Dean, hitting her horn. 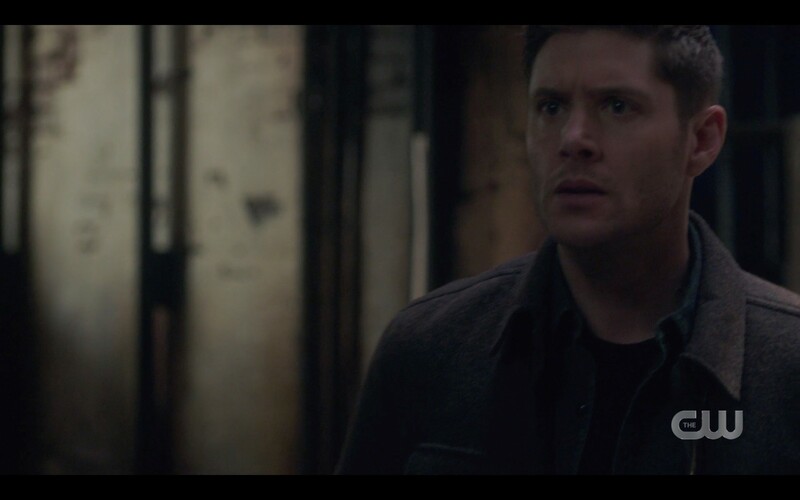 Dean once again hears even inside the warehouse in the middle of a fight, redoubling his efforts to fight off the demons and proving himself a total badass as he does. It reminded me so much of the scene in the tunnels when Dean is fighting off multiple bad guys and Sam is being killed and calling out for his brother and Dean can’t get to him in time. I watched that scene film and it still haunts me, and this one had the same heartbreaking urgency. Jensen and Jared break my heart in a million pieces in this scene as Dean tries to keep Sam conscious, asking him to play a counting game. 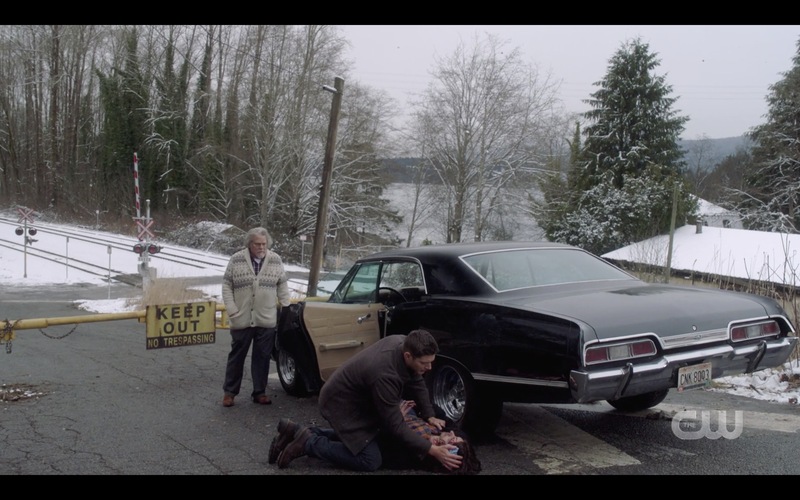 I wonder how many times they played a similar game as kids, big brother Dean trying to distract Sam from something frightening or painful….oh my heart. Sam tries, then seems to realize he’s slipping away. 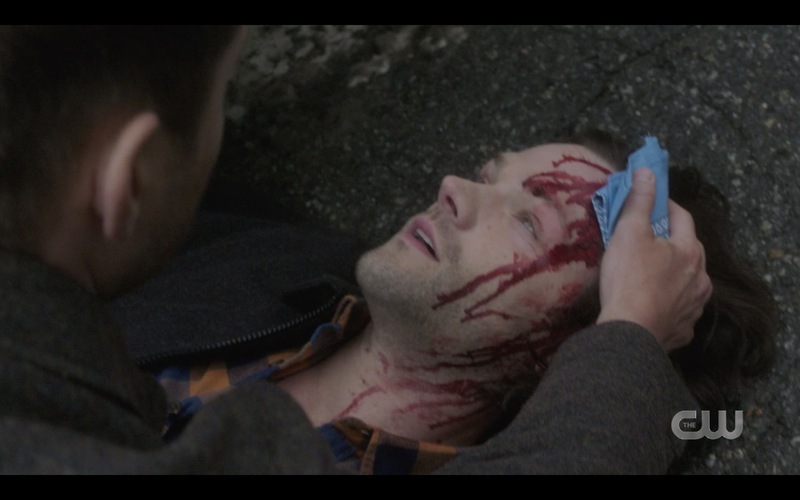 The Winchesters always want to tell each other something with their last breath, and this time is no exception. I was a bit thrown by Mary’s strong reaction here. 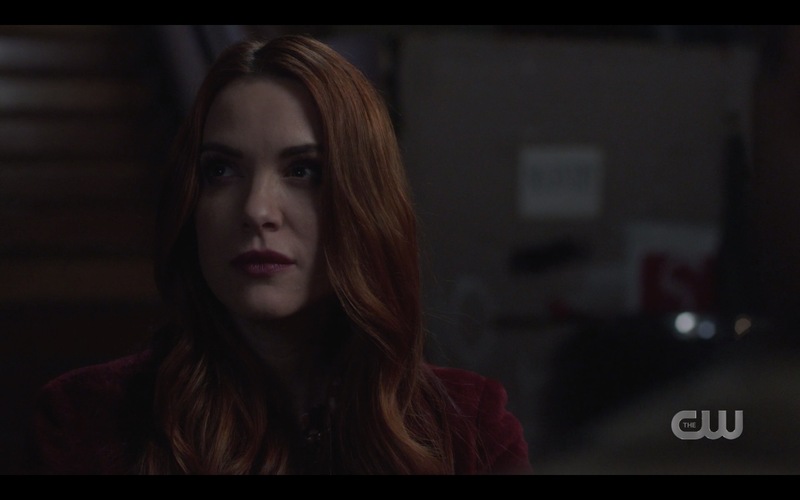 She’s a pretty brutal hunter herself and she hates Nick and Lucifer – and Nick just attacked and hurt her son very badly. 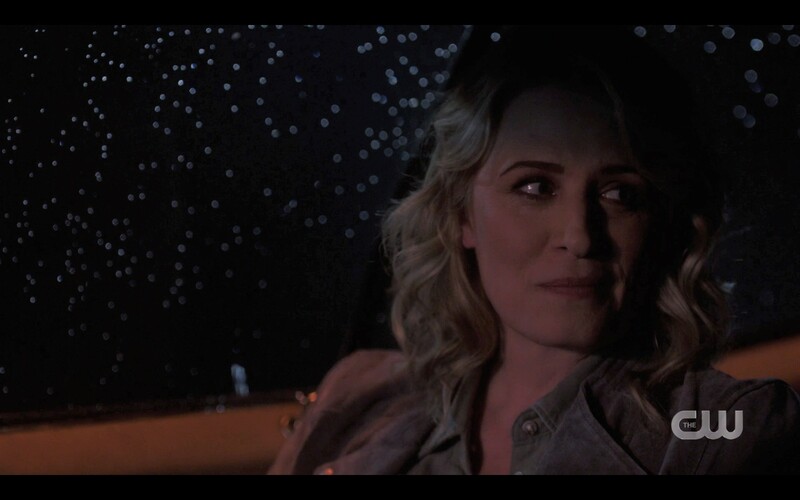 Would she really be so upset about Jack taking some revenge? I’m not so sure. At first I thought she was worried about Jack burning off what’s left of his soul, but that doesn’t seem to be the problem. She really is shocked by his brutality – much more shocked than any of us were. Anael: You reek of ill conceived lone wolf desperation. 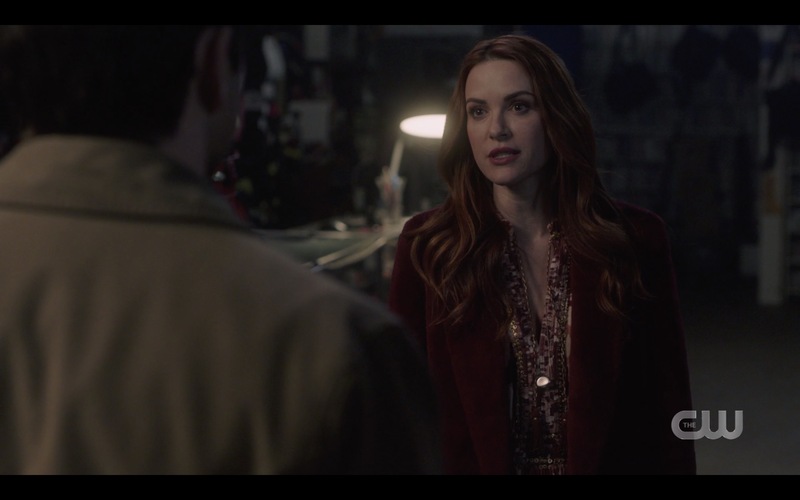 She eventually agrees to help him in exchange for some mildly cursed but valuable earrings, and they go to see Methuselah at his oddities emporium on one of those really steep little streets in Vancouver. 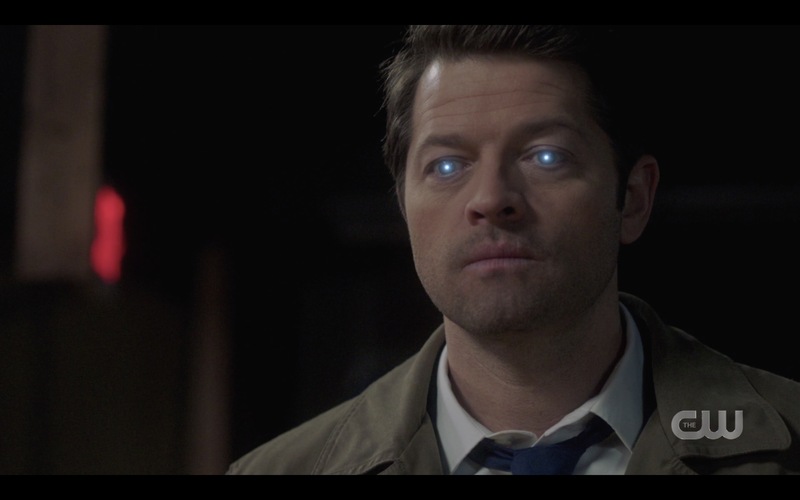 Castiel can be very convincing when he wants to. 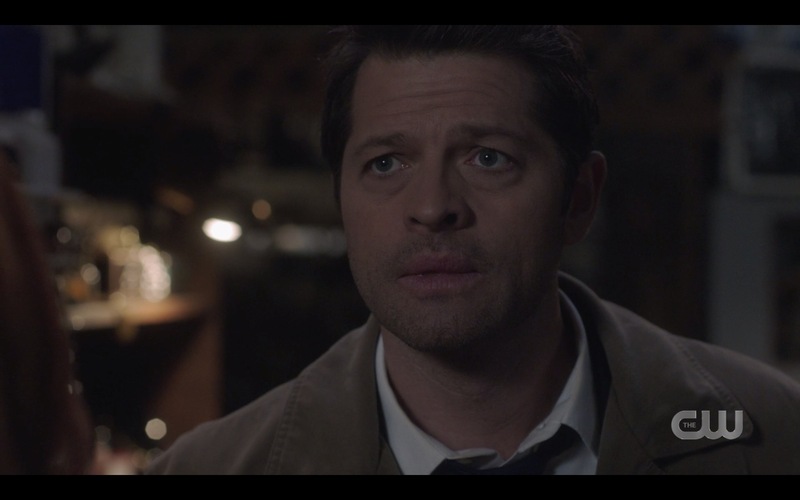 Castiel says goodbye to Anael and says that he’s going home to tell Sam and Dean the truth. 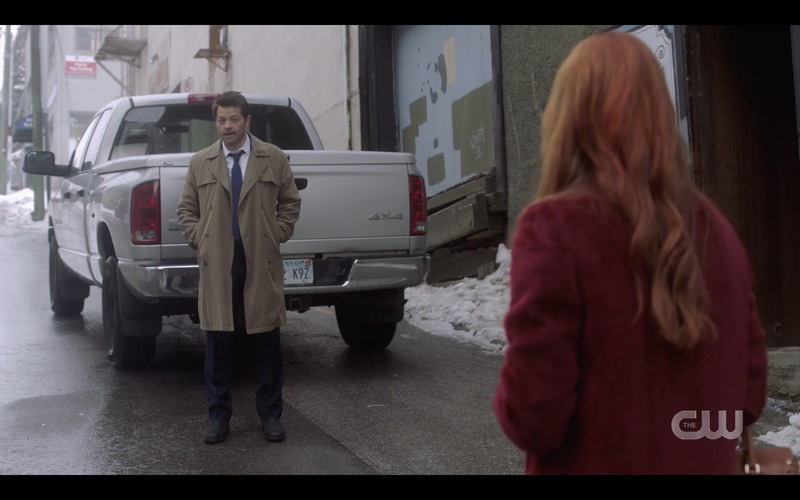 Anael has claimed that being alone is how we all are ultimately, but Cas disagrees. 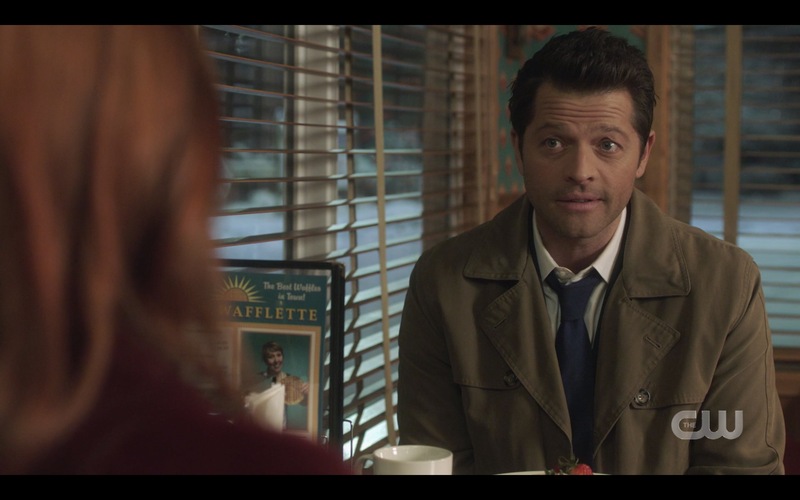 Oh Cas, you shouldn’t say optimistic things like that. Also a fairly ominous way to end a story line. 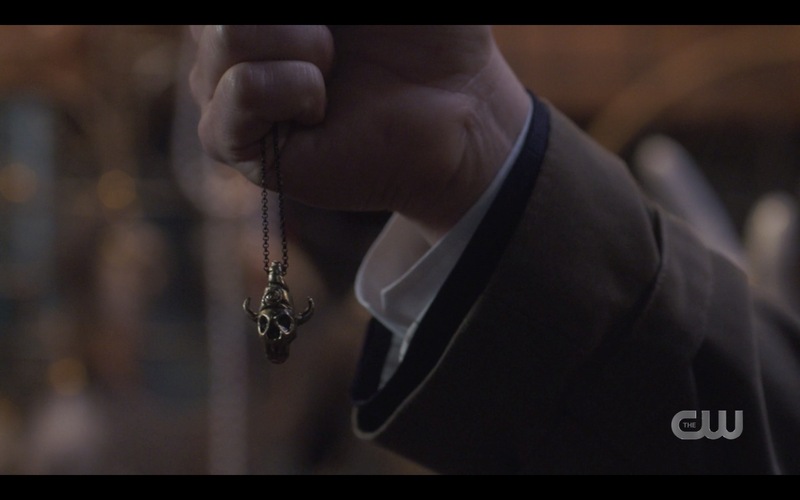 The Mousetrap made a good metaphor for this episode, didn’t it? 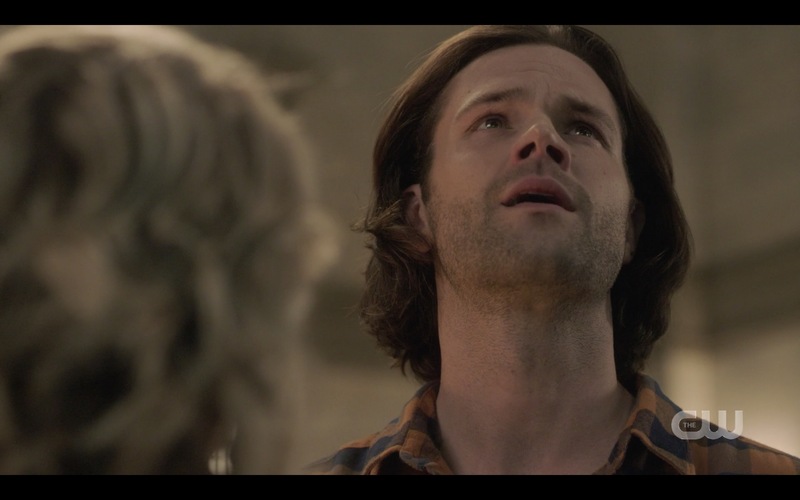 Jared and Jensen just about broke me in two inhabiting Sam and Dean in this episode (because sometimes it really doesn’t seem like acting, they just become the characters after all this time). 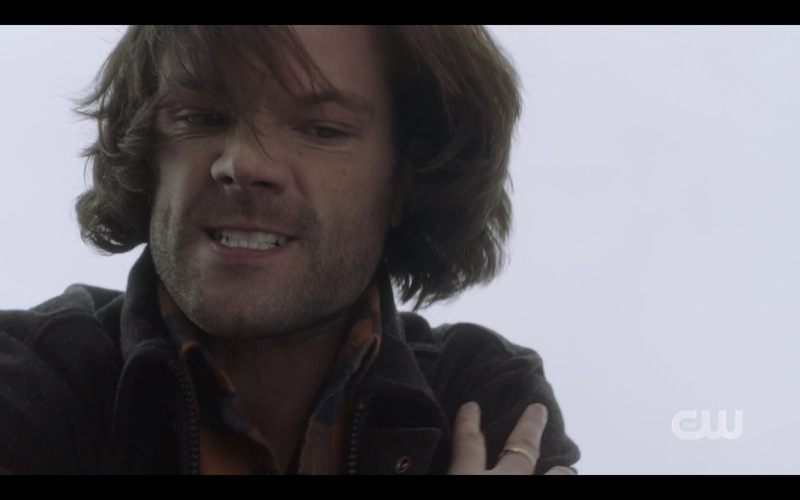 Sam’s rage at Nick (and Lucifer) so informed by all the trauma he’s been through and the way Jared portrays that. 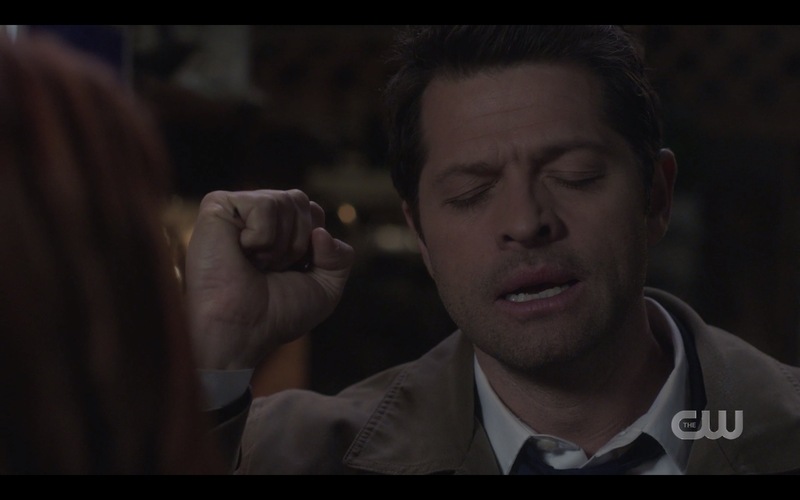 The way Sam and Dean know each other so well, the way they communicate with either just a few words or sometimes with no words at all. 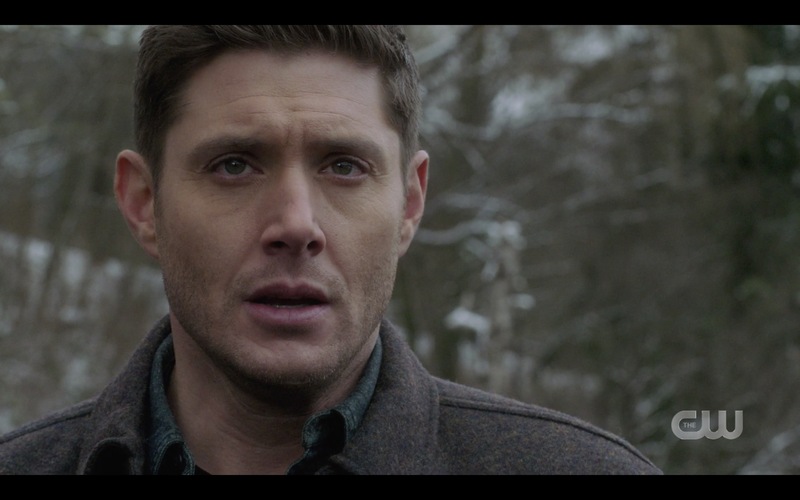 The absolute devastation in Dean’s eyes as he watches his little brother slip away, and the absolute devotion in Sam’s as he uses his dying breath to thank his brother for always putting him first. That’s why I watch – to feel how much they care about each other, and to care myself. To get my heart broken and then patched back together again, like this show has done repeatedly over the course of fourteen years. I’m grateful for it, now more than ever. Thank you, Meredith, for that scene and for making me feel, after all this time. With Blood – links on the home page! I was so happy with the brother moments in this. And squeeing with happines whem Jack killed Nick. Finally!!! Rest of the episode, not so much. Had forgotten the angels until you mentioned them. Will rewatch later today with your review in mind. I’m afraid so very afraid for my show. A scorched earth policy will not do it for me. 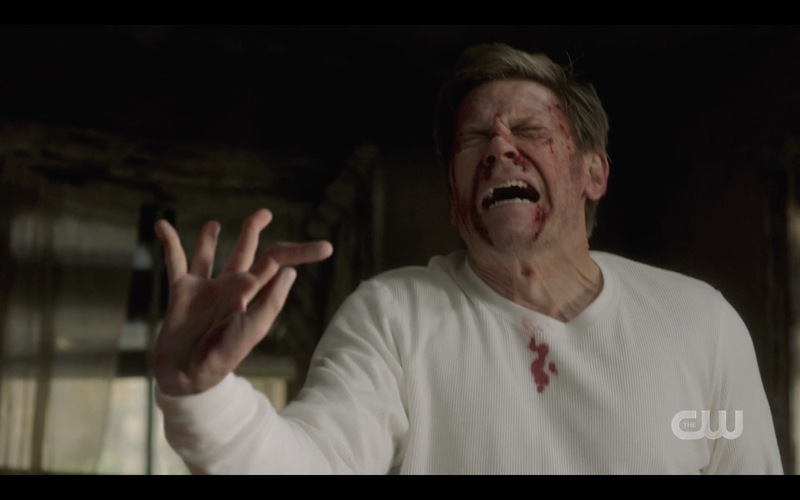 As I’ve said before if they kill off SAm and Dean at the end of next year I’m going to need therapy. I hope they don’t sacrifice Jack on this pile although that’s the way it looks like the areas on will end. 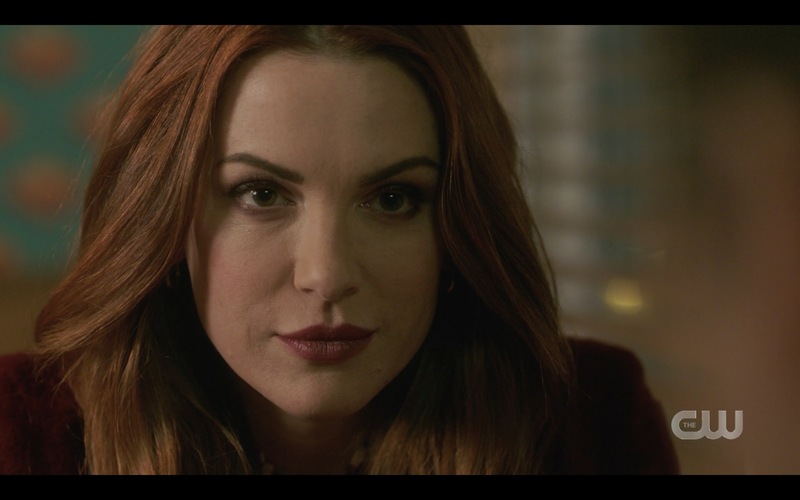 If they kill off Mary I’ll feel sorry for the boys but not sorry to see her very flawed character go. I admire Samantha Smith’s portrayal and struggle but she doesn’t bring anything to the table. IMHO. I can’t stand to let this wonderful world go. Interesting episode for sure. I had to watch it twice to decide what I thought of it. Mary annoyed me with her hovering around Jack near the end. I get the feeling she’s trying to mother Jack because she never got to with her own boys. Regret for what was missed? I also thought I heard angel radio and that’s why Jack was reacting the way he did. 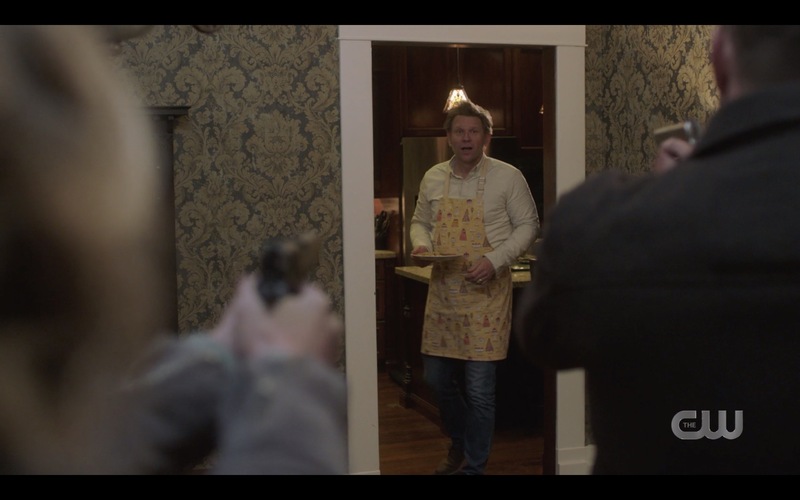 I didn’t think he killed Mary, I thought maybe he teleported her somewhere else. AU? Nick was definitely screwed up as to who he was. Like someone who lost an identity. He wanted the power back (sound familiar? ).I did get the impression that he was genuinely afraid of Jack. I couldn’t work up any sympathy for Nick though-hope he’s actually dead this time. Lucifer too. 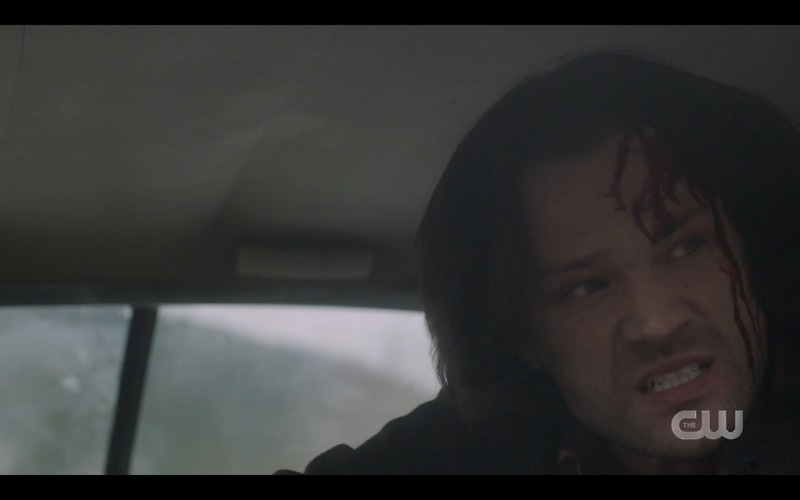 On two totally off in every direction type of things-(1)Sam’s injuries looked so real-the make up (or fx?) team is so great at this I just feel it’s real. 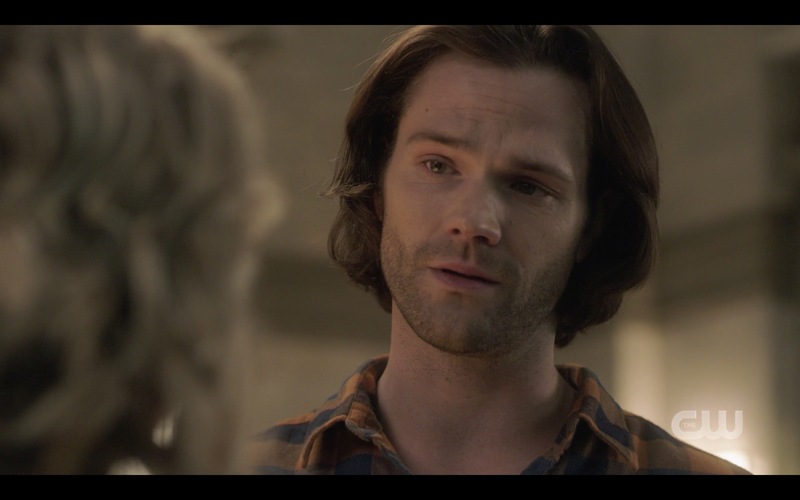 (2) I really disliked the colour of Sam’s shirt this episode. Yes I know, stupid things. Lynn hit it on the head as usual. But please.. quit counting how many are left. Please?? Kelly, I was put off by Sam’s shirt too! Not only the colors, but it was just a check pattern and not a proper plaid lol! 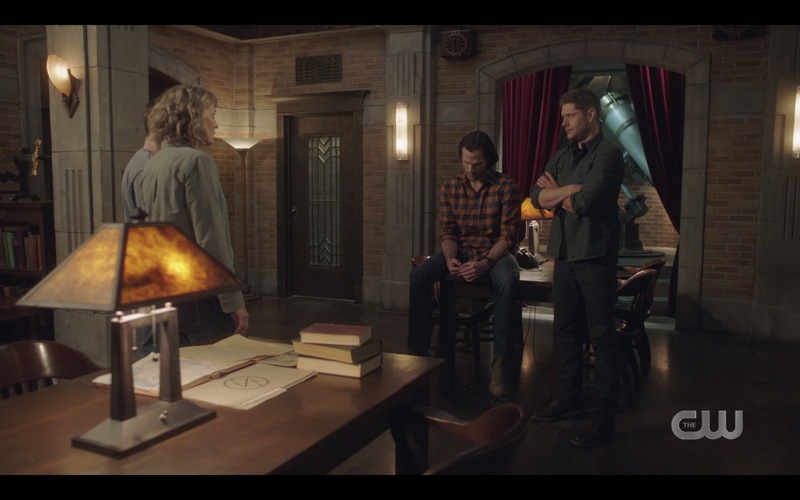 The Winchesters ,so in tune with each other and so in character, let’s hope we get this for the rest of the series, loved the little touches like the fact they have gelled enough to even have a game night, we’ve never seen Dean and Sam really play games or park up long enough to have fun, we want more please show. 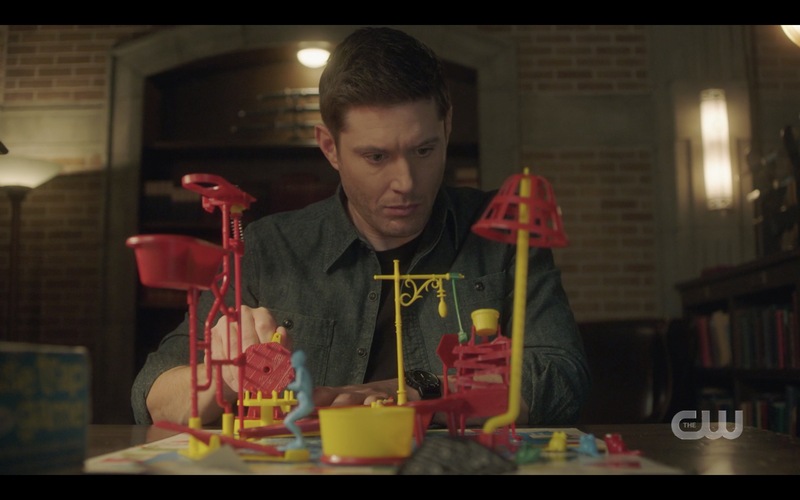 And Dean, so adorable in his frustration with Mouse Trap, I could never get mine to work either! If that wasn’t enough, Dean thinks pineapple on pizza is wrong, well it had me roaring with laughter, sorry world, I agree! Lynn you were so right about the acting and characterization. I’m a big Donatello fan, he’s so nice and Jack should spend more time with him learning to manage his lack of soul, it can be done, Donatello is so well adjusted for a soulless guy. Excited for next week. 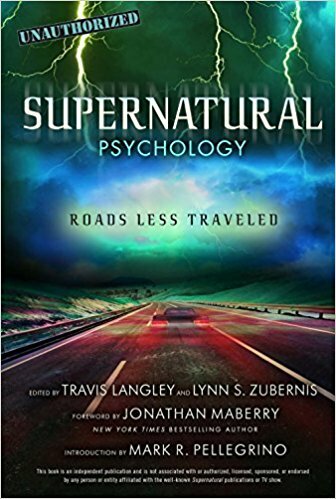 Thank you Lynn for another great review–and validating my feelings about this terrible choice to be bringing back the Nick/Lucifer storyline! 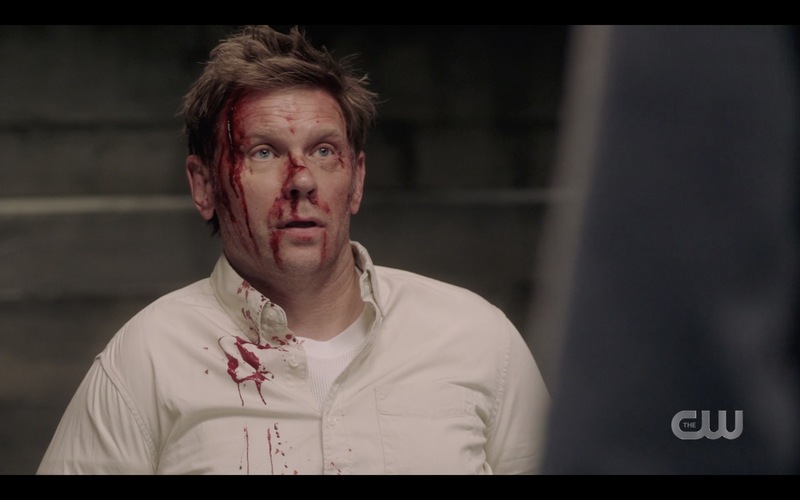 I so enjoyed the end of season 13, when the boys FINALLY defeated and killed Lucifer. I found it to be a great, cathartic moment. I mean, how many times has Lucifer been the big bad over the years? Quite a few, and I am sick to death of it. It was great idea bringing Michael back, because the whole idea of Dean as Michael’s perfect vessel had never been followed up on. 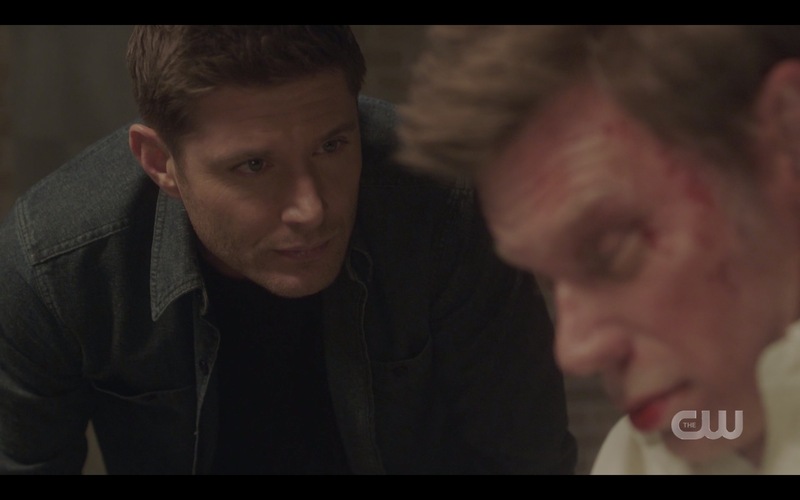 Season 14 has been very up and down for me so far, although The Spear was brilliant and Jensen really seemed to have found his bearings with the portrayal of Michael. I was impressed and excited to see what would happen next! 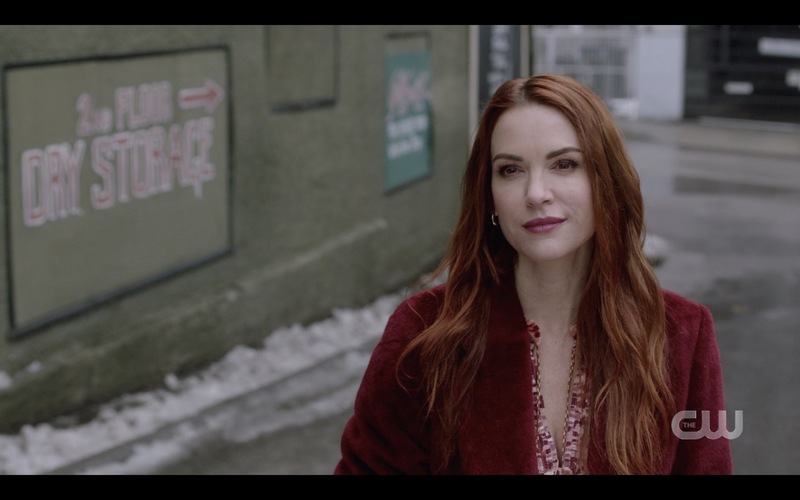 And what happened next was that the Michael storyline went on the back burner so that Luci could come back. UGH. It seems like lazy writing to me. I hate to think that my show is running out of ideas! 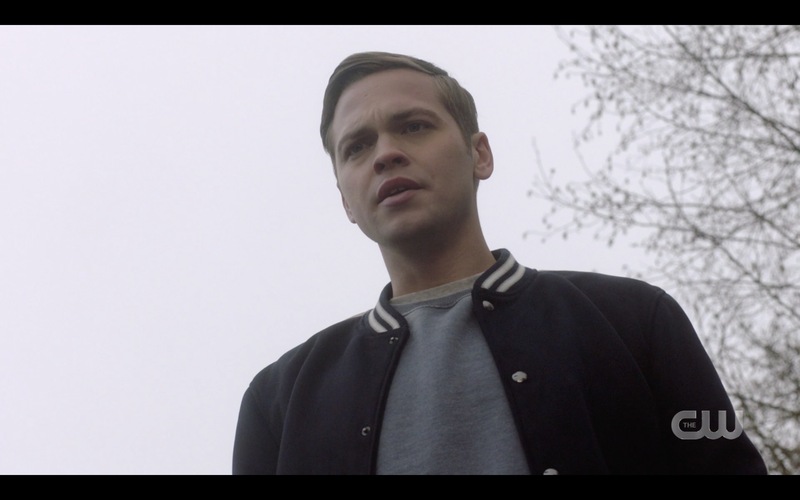 I found it hard to even concentrate on the good parts of this episode (like the Dean, Sam, and Mom scenes, and Sister Jo with Cas) because as it went on I got more and more angry seeing how Nick was acting so much like Lucifer already. My friends and I always message each other during the commercials, but they were not nearly as disappointed as I was. So thanks for backing me up Lynn! Fingers crossed that they will surprise us and pull off a brilliant finale leading to an amazing season 15! You nailed it once again. Thanks. I just want to say I’m glad I’m not the only one so OVER Nick. Pellegreno is a great actor, but please. Let Nick be gone. Please. 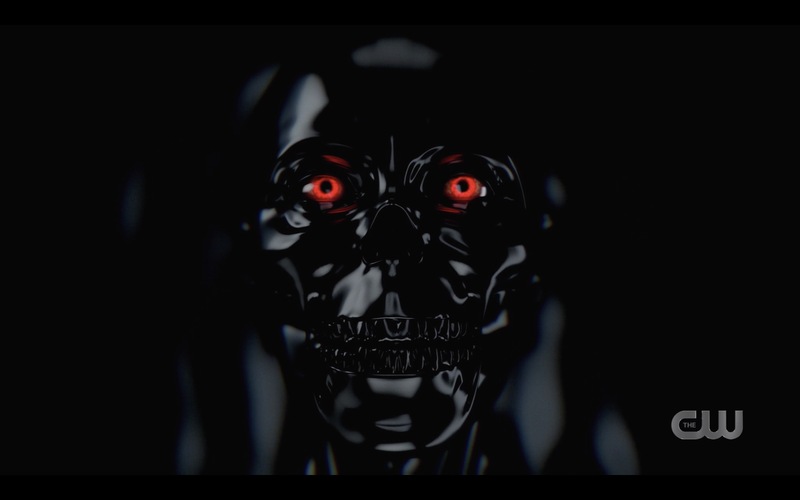 Glad to hear you also thought that Lucifer looked like the Terminator. The episode was okay. 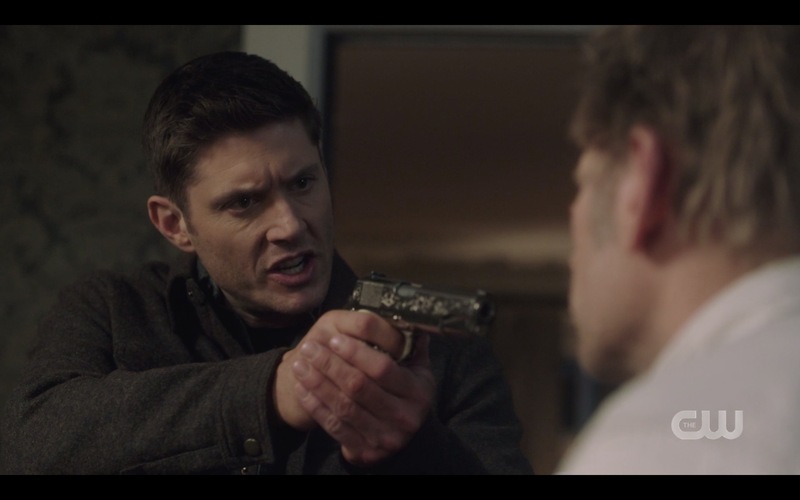 I enjoyed seeing the return of badass Dean. 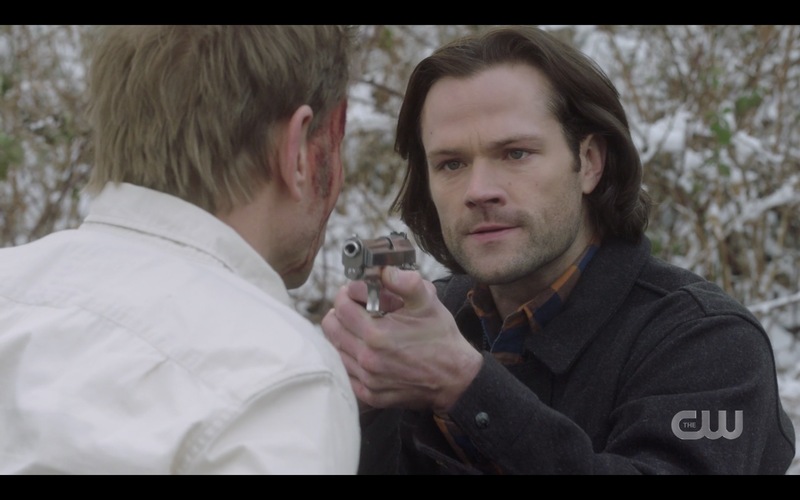 Brothers moment was okay but they’re just hsppening too much and woth no real drama since some angel comes and saves the day, instead of the hunters themselves. I am a fan of Mark Pelligrino but I’m over Lucifer and really pissed about the whole The Empty garbage. Billie said nothing escapes from there but it seems everything does, Cass, Lucy. Also I’m nota fan of Jack or Mary. I won’t be sad if both of them die. Jack just isn’t interesting. 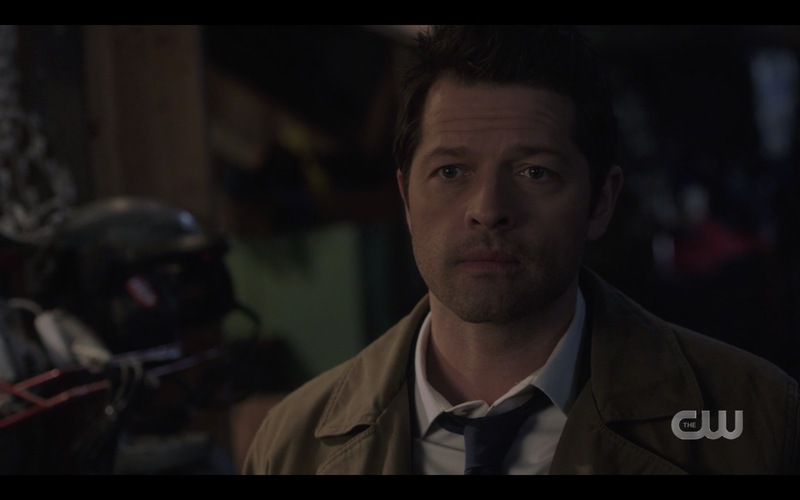 The series has the best angel in Cass didn’t need another. I don’t think he’ll be anymore interesting as a villain. 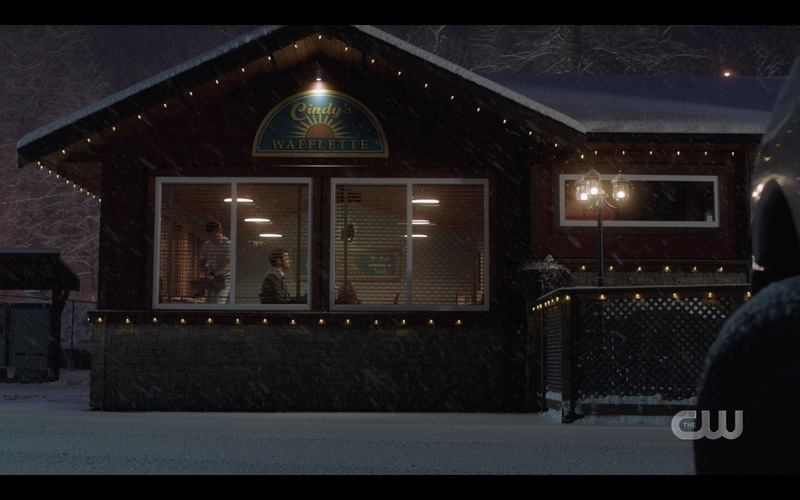 Concerning the series finale, I want the boys in heaven driving to the roadhouse to toast a job well done. 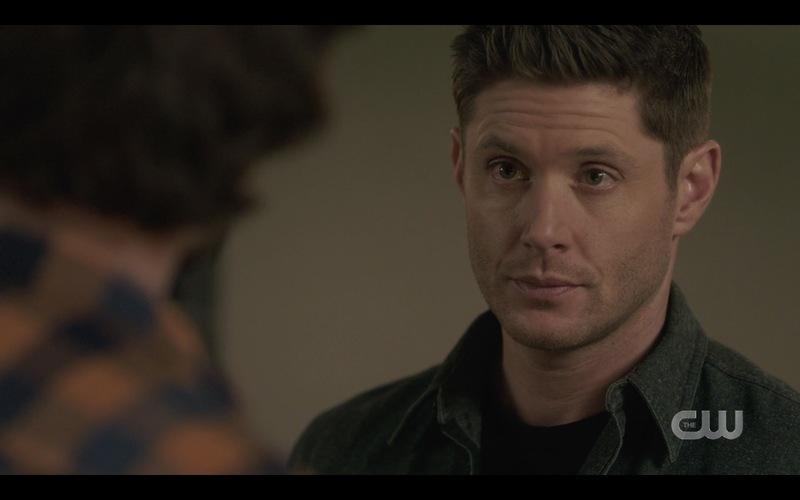 It’s funny, in the beginning you heard Sam say to Dean. “Watch your back,” and I heard, “Want you back.” 🙂 I’ll take either. Oh, how I would LOVED to have seen Sam & Dean actually play Mousetrap! Good scenes with all the characters! I really don’t know though if Sam should have been left alone with Nick. Maybe he should have gone to get Donatello. Also, Sam is tall & strong. I would love to see him actually win a fight. He has, I know, but, a lot of times not so much. Jared has expressed this as well. 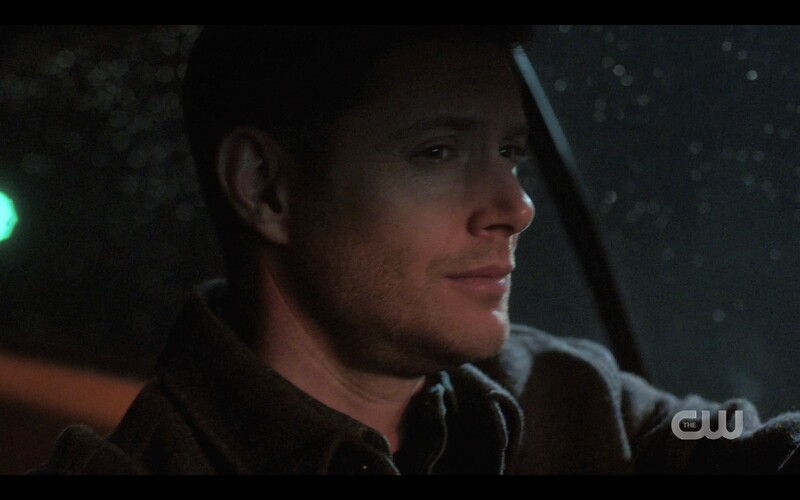 It always affects me to see one brother caring for the other and when Dean swung around to regain his composure, well, I became a puddle of goo. 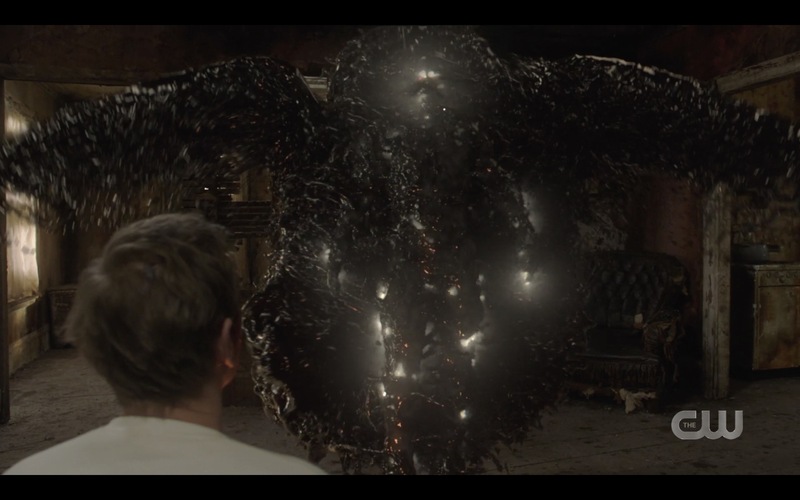 I completely agree on the line between Nick & Lucifer being blurred. Pellegrino is a good actor so he’s definitely giving that vibe off on purpose. And the script is definitely written with Nick saying/acting Lucifer-like. Which leaves me confused/suspicious. But not in a good way. Here’s my issue: I feel like Andrew Dabb is playing some long con on us. And it can go in about 5 different directions – or be absolutely nothing. Are we supposed to be doubting what we saw on screen? What we saw: Nick has had a major personality bleed with Lucifer, Nick set up an elaborate trap to get Jack’s blood in order to get to Lucifer, Jack down Lucifer arriving and then brutally killed Nick. 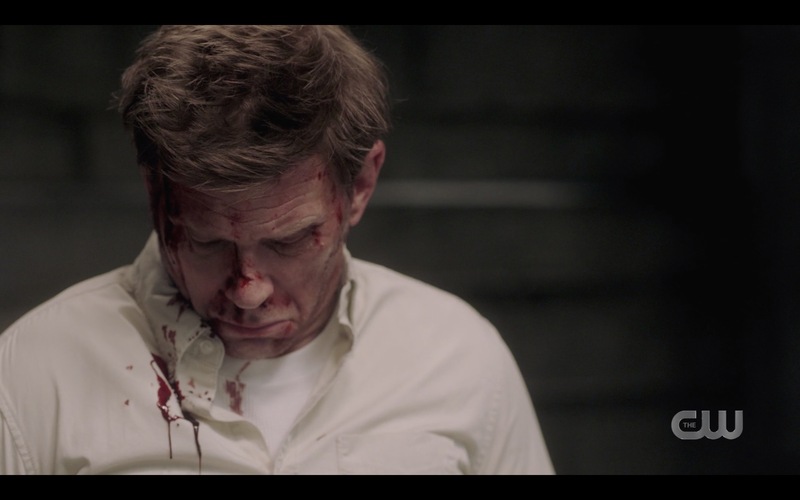 BUT… just like Michael’s death was too easy, stopping the ‘bring back Lucifer’ plan seems too easy. It makes me feel ungrounded versus intrigued. Most years I would have been intrigued. But the sudden “meh” death of Michael has me thrown. 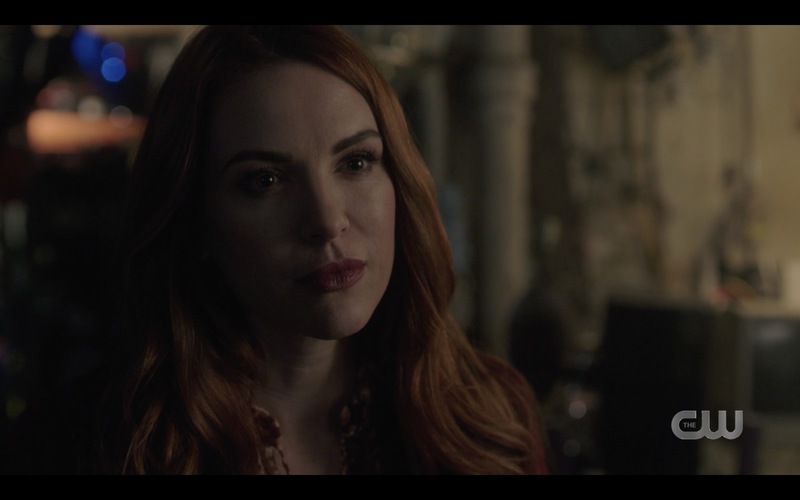 And yes, Mary’s squeamishness over Nick’s death doesn’t sit right. She’s melted Rugaru brains! Instead I choose to think what disturbed her was Jack doing something cruel. 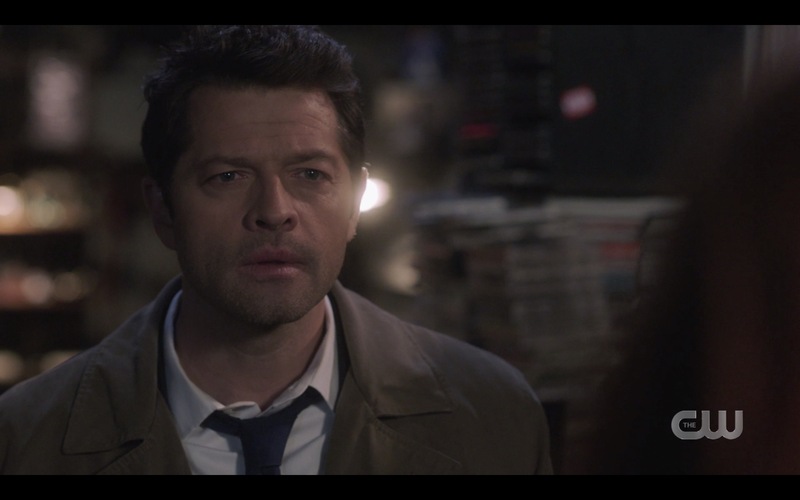 Crabbing aside; I definitely loved the domestic life, the brother’s relationship, Cas/Aneal adventures, and Donatello still being alive. Anxiously awaiting this week’s episode. You make some good points! I hadn’t considered that there might be a “long con” happening. This season has been so uneven in quality, I just don’t know what to make of it. Ungrounded vs.intrigued: great description of where they left us! That’s not how you play Mousetrap. 🙂 You actually set up the trap as you go around the board. You’re not supposed to set it up before you begin. I’d forgotten that until I tried to play it again a few months ago. Love that game. Secondly, I’m pretty sure Nick headbutted Jack in the nose, not the other way around. It was a little choppy, so it was hard to tell, but that’s how I interpreted it. Thank you for your review. 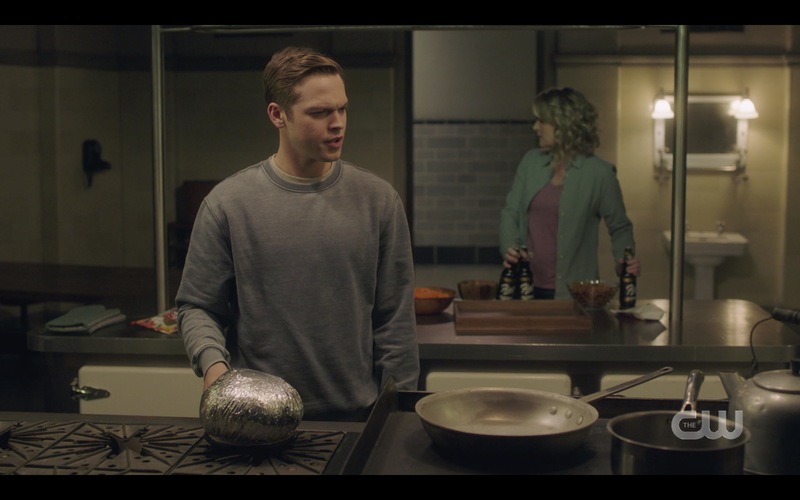 I felt like this episode was better than the previous couple, but I don’t think Jack was talking to Mary when he was saying, “Leave me alone.” We’ll see what happens next.